Jack Vance's first science fiction story was published in 1945. Over 50 years later he has over 80 volumes of short stories and novels to his credit. Though his writing has appeared in a variety of genres, his work eludes easy categorization. In this collection of appreciations, Hugo and Nebula award winning authors Dan Simmons and Gene Wolfe jostle with respected academics such as David Langford and others to pay tribute to this author. 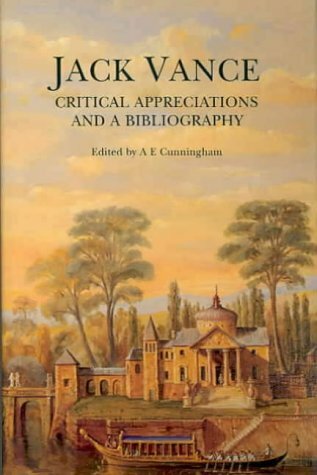 The book inlcudes a comprehensive bibliography of Vance's work. 3. Jack Vance: Critical Appreciations and a Bibliography Cunningham, Arthur E.
4. Jack Vance: Critical Appreciations and a Bibliography Cunningham, Arthur E.